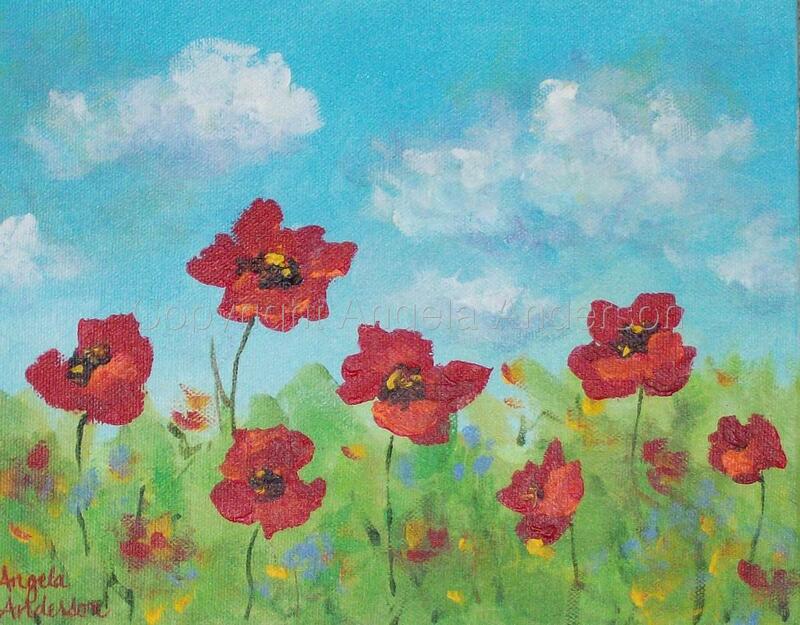 Pretty little painting of a field of poppies. Bright reds, blues and greens. Painted as a gift for a friend.